What does it take to end hidden hunger? More than two billion people are affected by micronutrient deficiency, also known as hidden hunger, a global health challenge that impairs cognitive development, increases maternal and infant mortality and undermines efforts to combat poverty. The fortification of staple foods and condiments with vitamins and minerals is often cited by experts as among the most effective and least expensive interventions to tackle hidden hunger on a large scale. 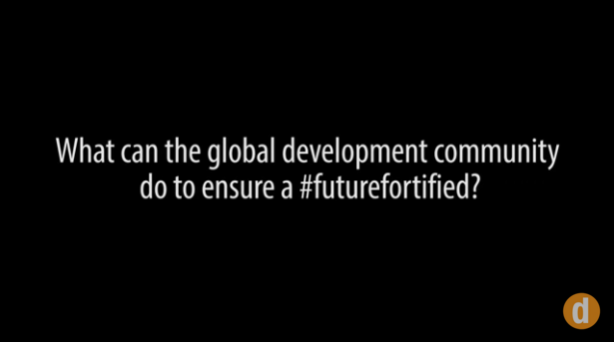 Future Fortified is an online series to explore this global health challenge. Devex, in partnership with GAIN, will investigate how food fortification can be a solution to prevent many of the health and nutrition challenges that continue to burden developing countries. Learn more about the Future Fortified partner organizations and their work addressing nutrition worldwide. See the latest coverage on why food fortification matters for development. What is development's single biggest return of investment? What is development's single biggest return of investment? 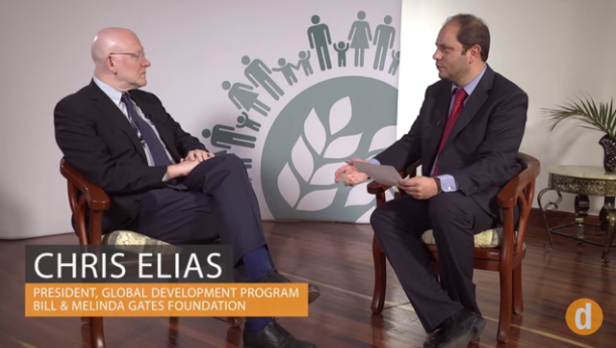 Marc Van Ameringen, executive director of the Global Alliance for Improved Nutrition, talks to Devex associate editor Richard Jones. In 15-20 years, what will undernutrition efforts look like? 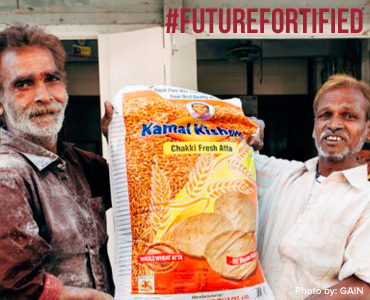 What does a #FutureFortified look like? 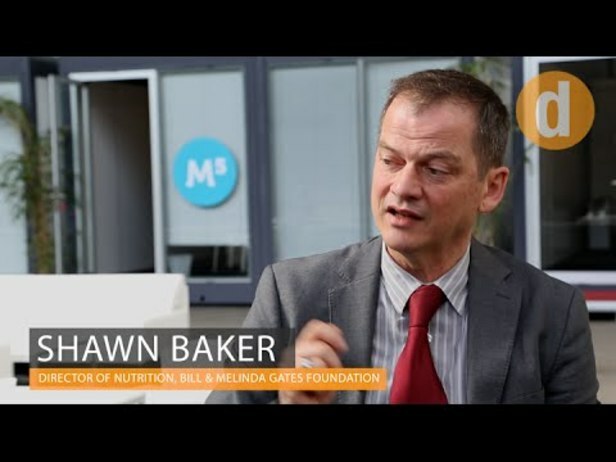 Experts from the Bill & Melinda Gates Foundation, the Global Alliance for Improved Nutrition and the World Health Organization weigh in on how urbanization, trends in nutrition interventions and alliances will shape actions on undernutrition in the next decade and beyond. There is often a mistrust when it comes to business being involved in food production, Michael Anderson, CEO of the Children's Investment Fund Foundation, told Devex. 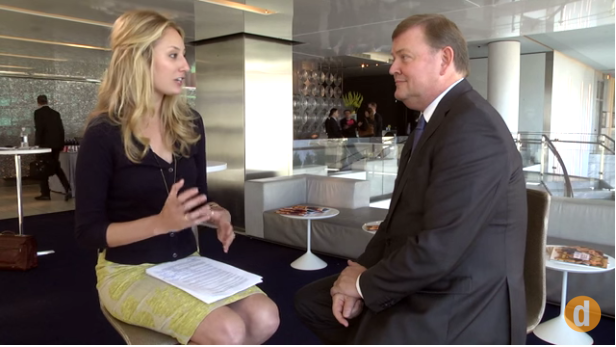 Find out what he said helps pave the way for progress in this video interview. A critical part of examining food security in urban contexts is the use of data, but "we're not asking enough questions," Nancy Stetson, special representative for global food security for the U.S. Department of State, shared with Devex. Check out our continued coverage on why food fortification matters for development. 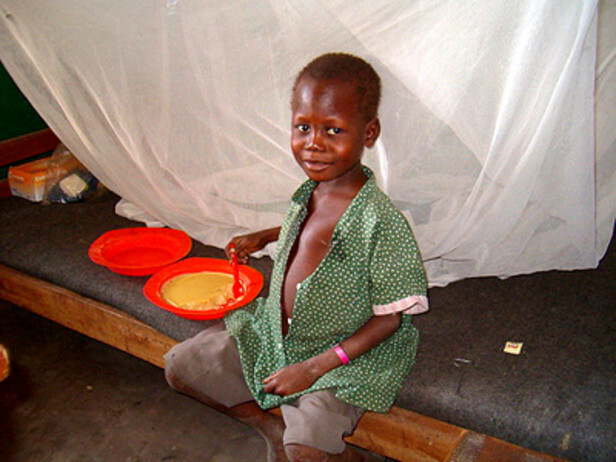 The availability of food plays the most obvious role in preventing and treating malnutrition. But there are other many building blocks, Devex's Jenny Lei Ravelo learned during a recent trip to Diraige camp in Sudan's South Darfur. With only a few months remaining to include more nutrition targets in the Sustainable Development Goals, here is how Canada can play a role in showing the world that malnutrition is inextricably linked with a broader range of global challenges. Nutrition experts are calling for more business and tech skills to translate global health solutions into national budgets. Officials from UNICEF, the Global Alliance for Improved Nutrition and political scientists explain why. More than 800 million people worldwide are chronically hungry and more than twice as many people are estimated to be micronutrient-deficient, lacking the vitamins and minerals necessary to grow, learn and earn. Experts from The Chicago Council on Global Affairs make a case for biofortification. How can three broad approaches help make nutrition a higher political priority among different governments and a central element in the post-2015 development agenda? 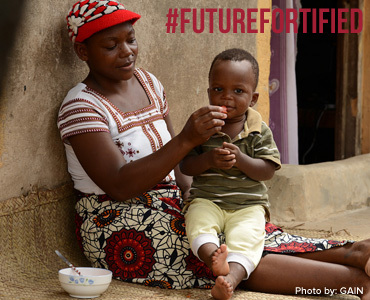 Nutrition experts share their insights in this analysis for the #FutureFortified series. Although the interventions to combat poor nutrition — including vitamin A deficiency — are well-known globally, they are not often enforced. But poverty is not the barrier to their implementation, but the lack of political will, writes S. Jamal Raza, director of Pakistan’s National Institute of Child Health, in this op-ed. Biofortified staples can help provide a significant amount of certain essential vitamins or minerals. But it’s also important to promote a diversity of nutritious foods that can provide other essential nutrients — and donors are responding to the challenge, writes HarvestPlus Director Howarth Bouis in this op-ed. Food fortification has historically been an important tool in the fight against malnutrition. To make the practice widespread, civil society needs to get involved through continued advocacy, education and monitoring across sectors, argues Kathy Spahn of Helen Keller International. For many women around the globe, nutrition is a matter that goes beyond food. Cat Cora, the first female Iron Chef, shares her experience from a learning tour to Mozambique in this exclusive commentary. To reach populations most at risk of malnutrition, the global development community needs to “activate” innovative channels that can deliver support at a large scale. But for these interventions to work, multiple stakeholders need to be involved. Malnutrition isn't what it used to be, and nutrition experts are pushing more than ever to improve and increase the potential of food fortification. Devex takes a closer look. Food fortification has impacted the health of some 1 billion people. 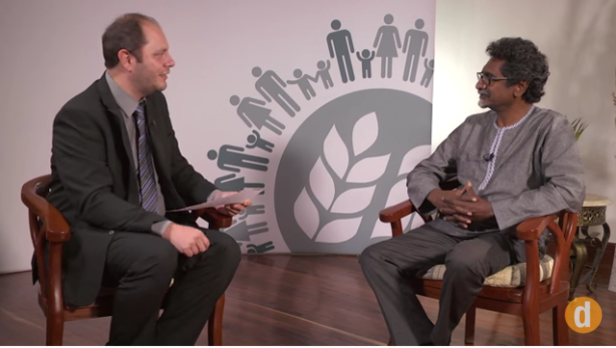 Devex sat down with Jay Naidoo, chair of global partnerships at the Global Alliance for Improved Nutrition, to find out more about the role of partnerships in this continued effort. 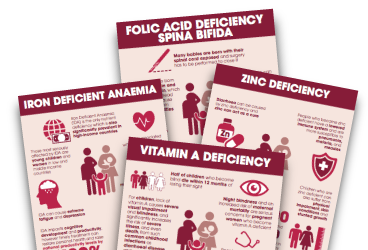 Micronutrient deficiencies can cause irreversible damage to a child's physical and mental development. 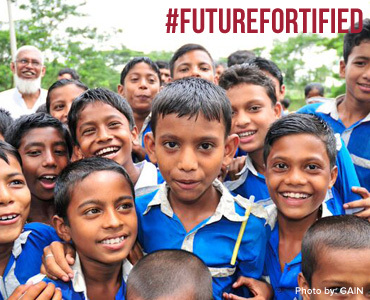 #FutureFortified is a new global effort to end hidden hunger through the scale up of a cost-effective, proven intervention, GAIN Executive Director Marc Van Ameringen writes in this commentary. Strong government regulations. Partnerships with private sector. Innovation. Chris Elias, president of the global development program at the Bill & Melinda Gates Foundation, shares what needs to happen next on food fortification. Other health challenges like polio eradication and malaria treatment get a lot of attention, but iodine deficiency, one of the biggest global health challenges, is often left out of the conversation. If eliminated it would be hailed among the greatest public health achievements in history, so what's the hold up? In order to achieve the Sustainable Development Goals, ending hunger is only part of the answer, writes Chris Elias, president of the global development program at the Bill & Melinda Gates Foundation. How can food fortification be a powerful tool in the fight against hidden hunger? 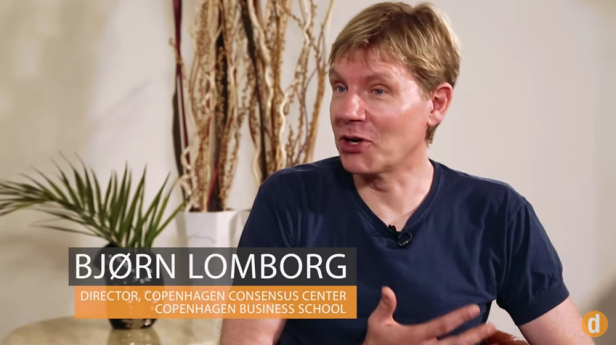 While it is important to get the private sector on board, public money must be spent to solve a public problem like malnutrition, Bjørn Lomborg, director of the Copenhagen Consensus Center, explains in this #FutureFortified interview. Michelle Nunn took the reins as CEO and president of CARE in July. 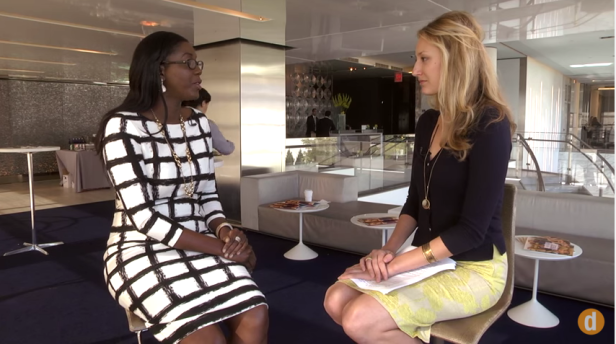 Now, she's tasked with getting to know an organization with a presence in over 90 countries. Devex caught up with Nunn in New York — and confirmed she might be hard to get a hold of in the coming year. The Devex team takes an inside look at how organizations like GAIN are putting the “bread” in global nutrition’s bread and butter. Food fortification has gathered steam in recent years, but gaps remain in the effort to combat malnutrition. 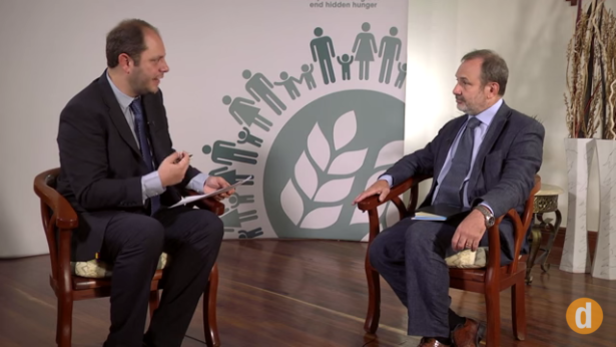 Meanwhile a number of new challenges are emerging, Francesco Branca, director for health and development at the World Health Organization, tells Devex in this video interview. The scale of urbanization in China alone is without precedent, with the urban share of the population expected to reach 60 percent by 2030. It's an attractive situation for ingredient suppliers, Feike Sijbesma, CEO of DSM, told Devex, but it also creates pressure and stymies standardization for food producers. When delivered through smart investments, food fortification can be a powerful tool in the fight against diseases caused by micronutrient deficiencies and developmental stunting, writes Greg Garrett, director of large-scale food fortification at GAIN. Join us for a series of events that spotlight the need to refocus interest and investment in food fortification. From September 9-11 this year, GAIN joined the government of the United Republic of Tanzania in co-hosting the first Global Summit on Food Fortification in Arusha, Tanzania. Devex and GAIN teamed up to host a panel and reception in New York City to make sure food fortification was on the agenda at the U.N. General Assembly meetings this past September. Learn more about GAIN's role in efforts to improve global nutrition. Interview with GAIN's Executive Director Marc Van Ameringen on Capital TV's "Business Edition"
GAIN Executive Director Marc Van Ameringen sits down with Capital TV's Yvonne Msemembo and Dr. Vincent Assey, who serves as Assistant Director of Nutrition Services Section at the Ministry of Health and Social Welfare. 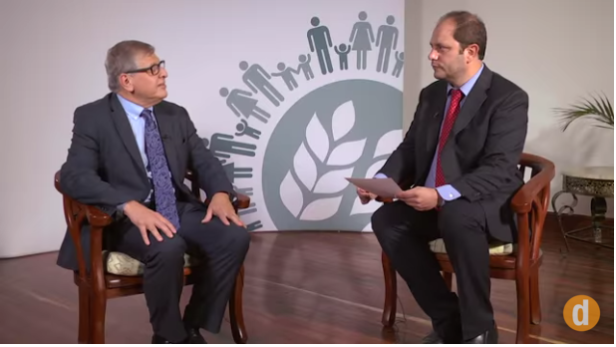 In this interview, they look ahead to the upcoming global summit on food fortification to be held from September 9-11 in Arusha, Tanzania. Seventy-seven countries across the world require fortification of one or more types of flour. This guide was created with the intention of helping countries assess trends in program indicators in target populations within countries that have taken up flour fortification. Subscribe to the daily Devex newsletter, bringing you all the latest global development news, trends, analysis and advice. 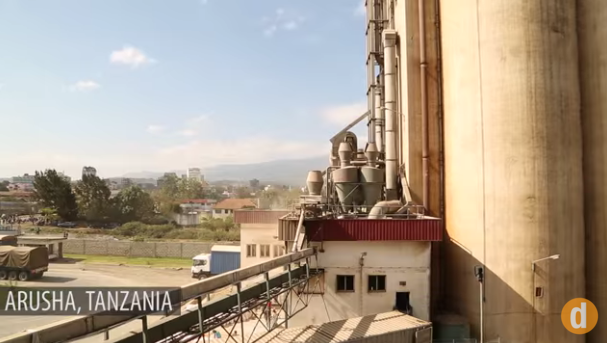 Future Fortified was an online series, in partnership with GAIN, which investigated how food fortification can address many of the health and nutrition challenges that continue to burden developing countries. Though the campaign is no longer active, you can get more of the latest development news sent directly to your inbox by signing up for the daily Devex Newswire.